2015 is almost over, but we couldn’t let it conclude without counting down the top 15 Beautable moments of the year. 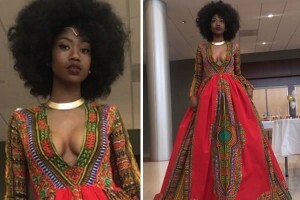 Beautable moments are special events when our beauty and unique abilities shined brilliantly and impacted the world. 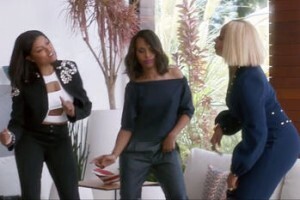 If you never had #squadgoals before watching Apple Music’s latest ad series which features Queen of Hip Hop Soul Mary J. Blige, and actresses Kerry Washington and Taraji P. Henson, then, you definitely had them after. I can’t remember the last time we saw three mega-talented Black women in a commercial together jamming to old school classics? Can you? 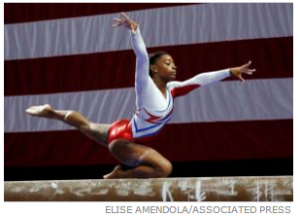 Eighteen-year-old gymnast, Simone Biles was named Team USA Female Athlete of the Year earlier this month, edging out Serena Williams and Katie Ledecky for the honor. Yes, you read that right. Biles, who is a virgin to the Olympics, is one of the most successful women in gymnastics history. Last fall, she became the first woman to win world championships back to back to back. (Move over, Drake.) With four world championship medals, she created a new record and became the first woman to win 10 career world gold medals. I can’t wait to see how she’ll win in Rio. 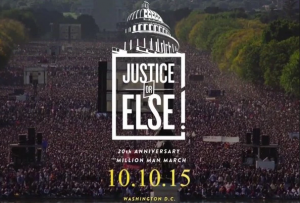 Nation of Islam leader Louis Farrakhan and thousands of Black families, including women and children, gathered at the National Mall in Washington, D.C., to mark the 20th anniversary of the Million Man March last October. The theme, “Justice or Else,” was significant in light of the nation’s growing trend of the murders of unarmed Black men. During the rally, Tamika Mallory, a national organizer of the event, recited a list of unarmed Black men who have been murdered by police, including Tamir Rice, Michael Brown, and Eric Garner. “America, we can’t breathe,” Mallory said. 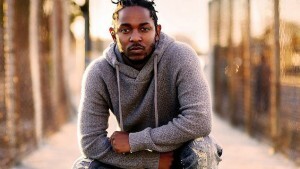 Kendrick Lamar’s name has been on our lips all year long for his instant classic, To Pimp A Butterfly, which was released in March. The video for his single, ‘Alright,’ offers poignant and chilling social criticism of police violence against unarmed Black men, racial profiling, and current events affecting urban youth of color. Video director Collin Tilley worked closely with Lamar to illustrate the video’s storyline that features a superhero-ish Lamar who floats through neighborhoods often tossing out handfuls of bills. The video concludes dramatically with the rapper being “shot” by a flick of a cop’s fingers pointed upward like a gun. Video of the year? It pays to be yourself. Toy company, Mattel, released two Barbies to honor Zendaya, the 17-year-old actress who rocked faux locs to the Oscars last February, and Ava DuVernay, the Oscar-nominated filmmaker best known for the groundbreaking film, Selma. Both dolls have long locs that represent each woman’s unique personal style. Ironically, Zendaya’s honorary doll, which was released last September, came as a result of her Oscar look getting trashed by Fashion Police’s mean girl, Guiliana Rancic. Rancic said, the actress’ faux locs looked like they smelled like patchouli oil or weed. Not one to be victimized, Zendaya defended her unique fashion style to haters in a poignant, thoughtful response on Instagram. Rancic has since publicly apologized. Now, her Oscar look has been immortalized with a one-of-a-kind doll by Barbie. Ava DuVernay’s Barbie, which is crowned with Ava’s trademark authentic locs, made Mattel history because the less than 1,000 dolls sold out within an hour on TheBarbieCollection.com and Amazon. Her doll sits in a classic black director’s chair wearing red and white sneakers and a black turtle neck and trousers. With two celebrity Barbies that celebrate Black beauty, Mattel definitely has our attention moving forward. 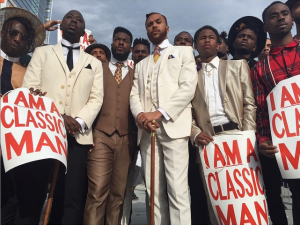 To say Jidenna stands out in a crowd is more than an understatement. With red hair and a preference for colored three-piece suits, you won’t catch him sagging anything below his waist. In his single, “Classic Man,” he boasts that he’s just that, rolling in vintage convertibles and opening the car door for his ladies, his coifed tresses slickly laid in place much like a 2015 Nat King Cole. His well-thought-out attire is no accident as he is the first artist signed to Janelle Monae’s Wondaland label. Even if the suits don’t trend, we really hope he brings chivalry back. Given the nature of the art that was shared in 2015, it’s no secret that social justice was on our minds as a people. And for Black cinema that was no exception. 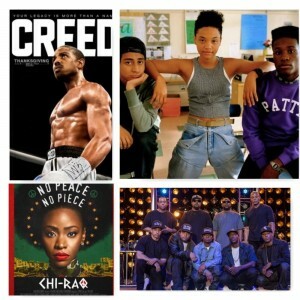 Movies like Straight Outta Compton, Chi-Raq, Creed and Dope featured talented Black casts and riveting stories. NWA’s meteoric rise to fame accompanied by criticism was captivating as many of us re-lived the ’80s and ’90s. Chi-Raq offered needed social criticism, but through a fictional perspective that divided genders. Both movies depict different time periods and eerily similar issues with communities of color and law enforcement. Stephen Curry led the Golden State Warriors to their first championship last spring. He also won the Kia NBA MVP Award and demolished several records during the playoffs with his graceful shots. Number of three-balls made in a single post-season. Fastest player to reach 100 3’s in a post-season. Six three-pointers and six steals in one playoff game? All Chef Steph Curry. The magic continued at the start of the 2015-16 season when the Warriors began the season with an unheard of 23-0 record. Did I mention his adorbs daughter, Riley went viral too? And his wife, Ayesha, gave birth to another daughter, Ryan, last July! Curry. Is. The. Man. It’s pretty difficult not to love the first family of the United States of America. In a society where momagers dress as if they were 1/3 of their age and date men younger than some of their children, it is refreshing to experience the reign of Black excellence that is the Obamas. Who didn’t envy the confidence and glamour captured so effortlessly in the photos of the power couple at the Chinese State Dinner? First Lady Obama wore that Vera gown, honey. 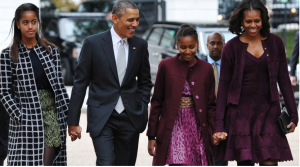 They even maintained their parental swag by not attending all of Malia’s recent college tours, which include Ivies, liberal arts and at least one public university. Misty Copeland is a force of womanhood. She’s probably been told no more times than Stevel Urkel, but her passion, persistence and poise are legendary. 2015 was her year by all accounts. She was promoted to principal dancer at the American Ballet Theatre, making her the first Black woman to do so in the company’s 75-year history. Then, there was that minute-long Under Amour commercial, in which she twirls and leaps like a gazelle while a girl reads a rejection letter. It has been viewed almost 10 million times. Her words appear at the end, “I will what I want.” She is powerful and graceful in both words and movement. If you don’t know who Shonda Rhimes is by now, you literally must live under a rock. Rhimes rules Thursday evenings on ABC with (count them) three hit shows: Grey’s Anatomy, Scandal and How To Get Away With Murder. Her shows have been so successful they’ve sparked their own hashtag, “#TGIT,” which stands for Thank God It’s Thursday. 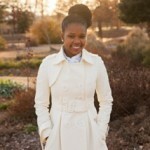 She made headlines last November with the release of her book, Year of Yes: How to Dance It Out, Stand in the Sun and Be Your Own Person, which offers lessons from Rhimes’ 2013, the year that, according to her sister, Delores and herself, she actually started saying the three letter word. The idea was not just to say yes to anything, but to say yes to the things that scared the extremely shy producer and television writer. 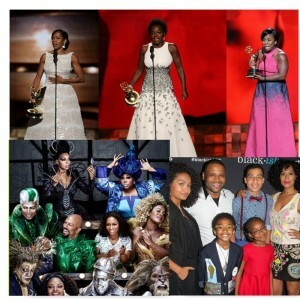 With ABC’s hit series, Black-ish, NBC’s The Wiz Live!, and the history-making Emmy night with stars, Viola Davis, Uzo Aduba and Regina King coming home winners, Black TV made us fall in love again and again in 2015. It was so amazing to experience the stories shared by the hard work and dedication of these actors and the production crews that create these shows. Davis, Aduba and King dominated the Emmys with historic wins. For Davis, it was best lead actress in a drama category for How To Get Away With Murder. Orange Is the New Black’s Aduba became the only actress to win in two genres (both comedy and drama) for the same role. 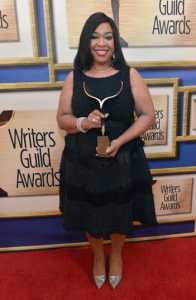 King won best supporting actress in a miniseries or a movie for her work on American Crime. Black-ish is being buzzed about for multiple awards as a new awards season approaches. Although The Wiz Live was highly-criticized for its all-Black cast, NBC re-aired it because it shattered ratings records with 11.5 million viewers not including DVR replays. 2. Sportsperson of the YEAR!! 2015 was the year of the Serena Slam! Serena closed out 2015 with an astounding 53-3 record, winning 5 singles titles, and $10,582,642 in price money. As if that wasn’t enough, Serena was also named Sports’ Illustrated Sportsperson of the Year, Associated Press Female Athlete of the year, and ITF World Champion! 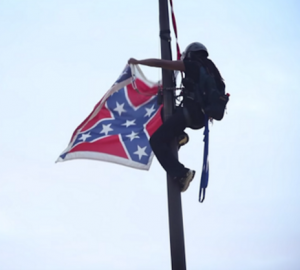 This year was filled with drama as Blacks and other people of color demanded to be heard about important issues like police violence, the confederate flag, mass shootings, racism and lack of inclusion of people of color on predominantly white college campuses. Black Lives Matter protests took place in Ferguson, Mo., Chicago, Baltimore, New York and other cities across the country. Groups pleaded for political action and justice for the families mourning victims of unarmed Black men, women and children. There are too many leaders of the movement to name. But we salute their tireless actions, boundless courage and thoughtfulness to cry out and speak truth to power. If there were ever two women we wanted to return in 2015, they were Janet Jackson and Missy Elliot. And they delivered. On the same track. 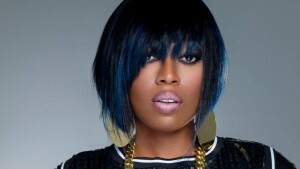 Jackson announced her album Unbreakable and a subsequent tour. Unfortunately, her tour has been postponed due to surgery for the superstar. After 10 years, Missy released, “WTF (Where They From)” produced by none other than her homie, Pharrell Williams, and promises a full album in 2016.